Floors are one of the most important parts of the home that need constant attention, they can add to the beauty of your home interiors. Often, areas around the kitchen, countertops and regular areas that have a lot of traffic can have problem with dull shine and sheen. 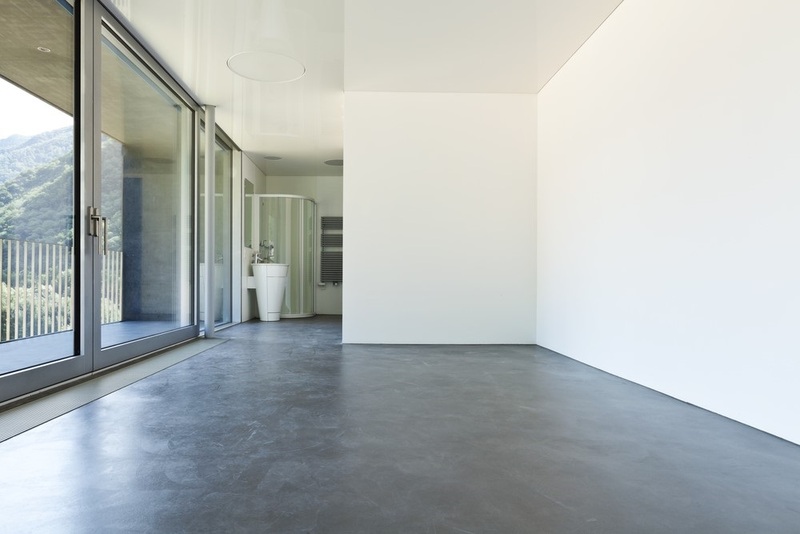 One solution is to get polished concrete installed on floors to keep them shiny at all times. Often people have the thought that this method of flooring is not suitable for homes and is something that is employed for driveways and pavements, the world over this thought has changed and people use concrete in both commercial and residential applications. There are definite benefits of using polished concrete applications. In this article we will consider the benefits as well as the methods employed in polished concrete flooring. One of the most important factors to consider is the costs while a flooring project is being processed. There is a big benefit of choosing polished concrete for interior flooring with respect to cost, you straight away cut costs on material to cover a concrete, like vinyl and tiles. 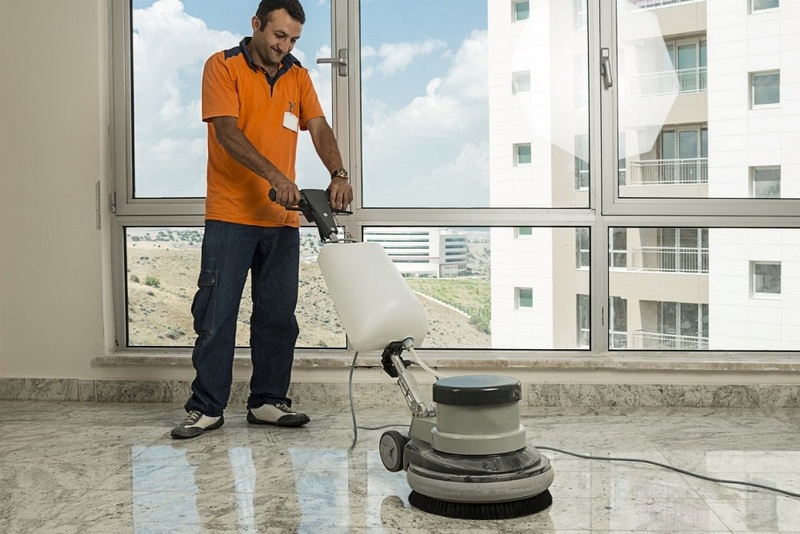 It is almost impossible to damage concrete polished flooring in all its use. By its innate nature of cells so closely packed, concrete is strong and allows for large traffic handling if required too. Concrete flooring also does not allow much stains to absorb on the surface. It also is very easy to maintain and clean on a regular basis, moisture is not a factor that causes damage to a concrete surface either. When concrete is treated with silicon based sealers that are penetrating in nature it can turn out to give a great wet look to the floor. If there are remains of wooden planks and there is a need to salvage the flooring, concrete would help to overshadow and mimic the previous flooring. If the concrete flooring is stained with color effects, it can resemble like a marble. Aggregate if mixed with concrete and exposed to a certain degree can create a great textured look, giving the concrete flooring a truly unique look. Step 1 – This step should be the most important in floor surface preparation, there is a need to grind the floor to get a good flat surface. The entire floor including the edges and the corners has to be at the same level of finish. Step 2 – Post grinding the floor pore fillers and densifiers are sprayed in front of the grinding machine which in turn fills cracks and holes with the mixture of metal bond, resin bonds and ceramic bonds, thus hardening the floor in the process. Step 3 – Now is the time to get rid of the pore filler by grating with resin 100 grit disc; once the grinding is finished you will notice that the floor is not sticky anymore. This is followed by the polish with a resin 200 grid disc. Step 4 – The final polish is applied on the surface by granting with the 800 to 900 grit resins. The difference between the final product and the grouting is visible. One could also opt for higher gloss on the surface by using1500 grit resin and even as far as a 300-grit resin; the gloss from these finishes will provide a reflection of high quality. Overall as part of the last touches to such a good finish a coat of primer is applied to seal the concrete from reacting agents such as oils, alcohol, red wine and so on.